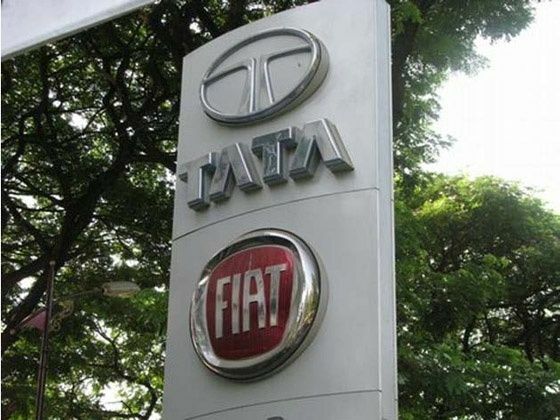 India: Fiat and Tata joint venture to have a shake-up! Fiat and Tata have together disclosed that they are shaking up their joint venture with a new distribution agreement – which will see Tata engaging in less business with Fiat; is this an end to the Fiat – Tata 50:50 business? Firstly the Fiat group is looking to make a further presence in India with Chrysler Jeep, Alfa Romeo and Maserati all to launch within India soon. Fiat have a majority stake in Chrysler the US car maker, they made this 70% acquisition since 2009. As many of you may know Fiat have since 2006 had a join venture with Indian Tata Motors, it was however announced this month (May 2012) that they are re-aligning their distribution venture, which is a 50:50 partnership. The reason behind this Fiat claim is a drop in sales within Fiat and their 178 Fiat franchised Tata dealers which have their presence in 129 cities across India. Since 2006 the joint-venture has produced some 190,000 cars and 337,000 powertrains. Tata motors have throughout this venture been key to distributing and marketing Fiat cars. Although the distribution of the Fiat cars will come to an end Tata will still work to manufacture new cars with Fiat including the production of powertrains. The companies have referred to this as the new distribution agreement. This agreement will see Tata put a halt to the servicing and selling of Fiat cars within India. It’s possible that Fiat may have thought of Tata as lacking in the distribution side due to their acquisition of British car makers Jaguar Land Rover which occurred in 2008; and this could have been seen as an acquisition too soon after the joint venture with Fiat began and as a consequence a lack of sales on the Fiat side. Now Fiat have put together an action plan to resolve this issue of poor sales by going it alone. “Our customers were not getting the international feel. There were lot of products and hence congestion at Tata dealerships which was not giving our customers the experience that we sought”. – Fiat spokesperson. Many may point out that Tata’s 2008 acquisition was the profitable and correct decision to make, seeing Tata gain a foot-hold on the European and American market and seeing their profits rise too. The revenue at Jaguar Land Rover rose 41% in the quarter ended in December 2012, showing that Tata made a profitable decision and Tata saw their net total of sales owed to Jaguar Land Rover which brought in a whopping 70%. Whether this has meant a loss in business for Tata is something only the Italian company Fiat would know – however it could be said by many that Tata could have performed better with all their credentials and successful history within India to make Fiat an upcoming runner in the car industry in India. Fiat after all are a car giant themselves. What do you think – Could Tata have done a better job? Fiat have recently spoke of this new network and the setting up of independent dealerships across 20 locations and they have a showroom in New Delhi. “I have to admit that so far, the venture with Fiat has not been as active as we had thought”. The latest in the world of car manufacturing is that Fiat are looking to possibly work further with Suzuki as they have been doing alongside Tata to produce Maruti Suzuki small diesel engines, (Fiat and Tata acquired this contract recently). However any further Fiat operation with Suzuki will possibly be a lone initiative, without its partner Tata. India is a big market which Fiat will want to do well within this year and it seems the Italian company will be venturing out in India with other more luxurious cars from their fleet being introduced such as Alfa Romeo and Maserati, its other foreign competitors and producers Ford, Honda and Nissan have recently acted to take more control of their own operations too. Is this year – Fiat’s year? And will this new Fiat company do well without Tata? Let us know and leave a comment…. Fiat, which will set up a new company to sell its models and build on the network of Fiat-Tata dealerships, does have history within India although its popularity has waded from – its 1100 sedan which was sold under licence in India from the mid-1950s to 1997, with the Fiat 1100 Delight and then as the Padmini which now operates mainly as Taxi’s in India. 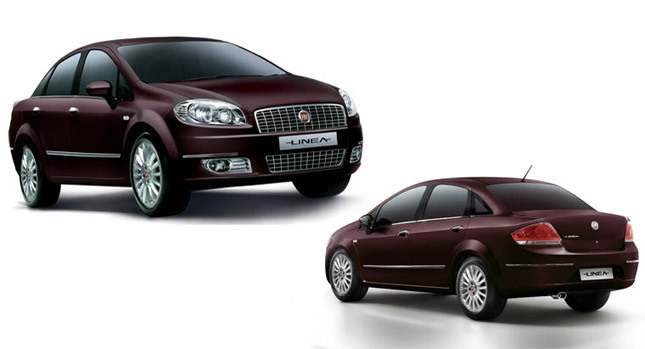 (Fiat India Automobiles) – The official name of the Fiat company within India. The Punto hatchback and Linea sedan are in India through the joint venture with Tata Motors as is the Palio. Enrico Antanasio will head the new company ( Enrico Atanasio was appointed senior VP of commercial operations for Fiat India Automobiles Ltd. July 2011) – yet to be named, said Fiat’s spokesperson. The Italian car maker will be working within an estimated time range of a minimum of two years to put together its own network. Tata Motors chief financial officer CR Ramakrishnan said in February 2012 the joint venture with Fiat was not producing expected results or sales. Fiat chief Executive Sergio Marchionne said in March 2012 the partnership “has tried to do too much”. China is the world’s largest car industry and India is the second within Asia – with this in mind – Fiat alongside Tata sold only 20,000 (approximately) cars in India. Maruti Suzuki, is India’s largest car manufacturer alongside Tata.